Common methods for valuing a farm, how to prepare the business for sale and the merits of appointing a business broker to help you throughout the sales process. Canada’s worldwide reputation for farming excellence will appeal to many new entrants to the agricultural arena. If you’re considering putting your farm on the market now or within the next few months or years, then here are some primary issues you should consider as part of the process. According to data from Agriculture and Agri-Food Canada, the Canadian farming sector can look forward to a positive economic future. Growing trade in farm products, a rising world population and higher levels of disposable income in developing countries present major opportunities for growth. At the time of writing, it’s a good time to find willing buyers for a farm for sale. Though net cash income was predicted to fall back slightly in 2017, it should still exceed the 2011-2015 average. Crop returns are forecast to rise, especially with the latest large grain harvest still working its way through the system. After cattle prices reached record levels in 2015, the North American livestock market is slowly returning to normal levels. A professional valuation of your farm is an essential prerequisite for any market listing. Your broker may also identify areas of improvement in order to maximize the business’s appeal and sale price. “Valuing your farm business by net worth is common, but not always the best practice,” Moe Russell, president of Russell Consulting Group, has written in Corn + Soybean Digest. You can also estimate how much cash a company can generate by valuing intellectual capital, technology, competitive market advantages, management, and employees, he adds. First impressions count for a lot so your pre-sale preparation should be undertaken with the buyer’s perspective in mind. So stay up to date with essential maintenance to avoid any sense that your farm is run down. Your gates and fencing should be in good order, likewise any access trackways, and fill in potholes where possible. Livestock sheds must be regularly mucked out and field areas kept weed-free and in good shape. Your farm’s financial records should be in good order as they will be carefully inspected by your buyer’s financial team during the pre-sale due diligence process. Arable farms should have five years of cropping information plus a three-year yield analysis. Have soil testing results to hand to document the fertility and potential of your land. Likewise, livestock producers will be expected to show milk yields, calving rates, lambing percentages and so on, depending on the type of livestock you house. More generally, details of any recent drainage improvements should be made available. And if you hold any awards or certificates for notable agricultural achievements, having these on display will likely impress any prospective buyer. Carry on farming as normal until the sale goes through. Not only will this create a positive impression for any visiting buyer, it will also serve to maintain the profitability of your holding during the period your property is on the market. The buyer is within their right to pull out of the deal if they sense any drop in standards before the final contract is signed. Should your holding have problems, such as with access rights, water supply or development disputes, it is always best to disclose them as early as possible in the sale process. This gives you a chance to suggest constructive ways of overcoming any problems. Your buyers will not appreciate uncovering hidden flaws during due diligence and at the very least they’ll probably try to drive the price down. At worst, the loss of trust will prompt them to walk away – rendering weeks or months of preparation a waste of time. 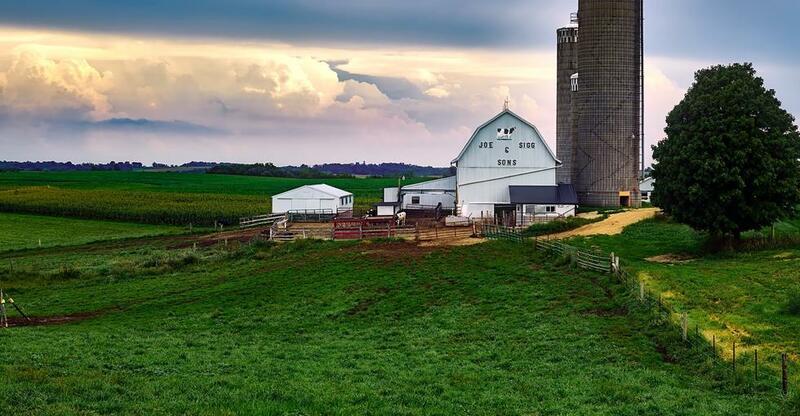 Bringing your farm to market should ideally be entrusted to a business broker with experience of selling farms, which are distinct from other types of business in numerous ways. Brokers are a valuable source of advice at all stages of the selling process, from decisions about the best time to market your property through to negotiating and closing the deal. A good broker will help you market your listing effectively – on sites like this one – and may even have suitable parties waiting in the wings. They can also help you get your paperwork in order. Find out everything you need to know about selling a business right here. Take a look at why Canada stands among the best when it comes to agriculture.